I had a rare chance to go shopping alone this evening. I went to my local big box store to get the usual: milk, bread, princess stuff. What? You don't buy bread? Kidding. I don't really know what drew me to the toy section. Seriously, I just cleaned out toys this week and now have a fabulous rotation system. Thanks to this project I know that my girls own 6 Little People sets: dollhouse, Noah's ark, school, airplane, princess building kit, and fairy house, as well as a few assorted individual people and animals. And this Christmas, I am pretty sure I will finally break down and buy the nativity set too. So, we're big fans. 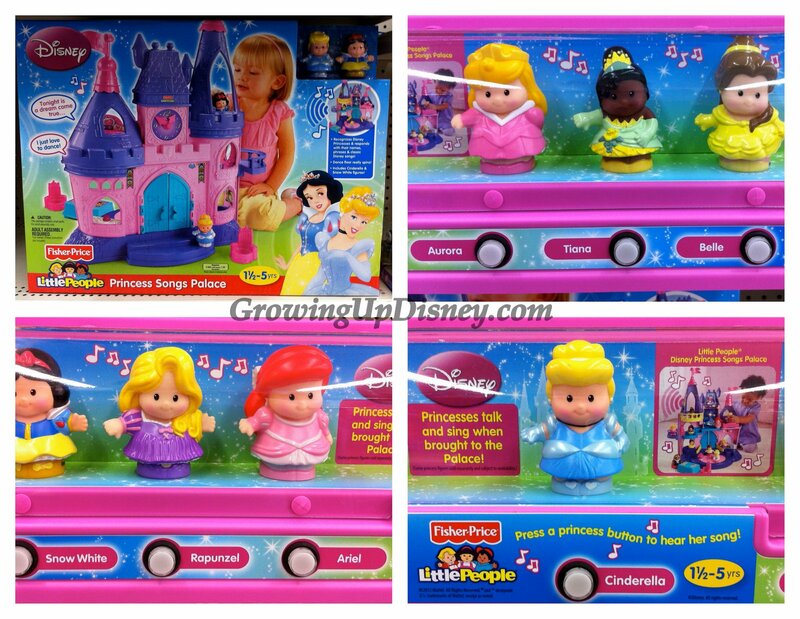 I was very excited to see that our favorite princesses were now available in their F-P Little People version. Are these cute or what? I can definitely see some of these joining our collection. I'll be flying alone with the girls in January. A couple of sets may be surprise gifts once we are onboard, probably Belle & Beast and Rapunzel & Tiana. The dolls interact with the castle playset. 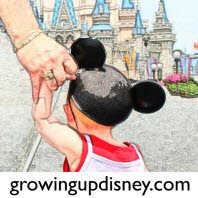 Unfortunately you have to buy the castle to get Snow White at all or Cinderella in her ballgown. 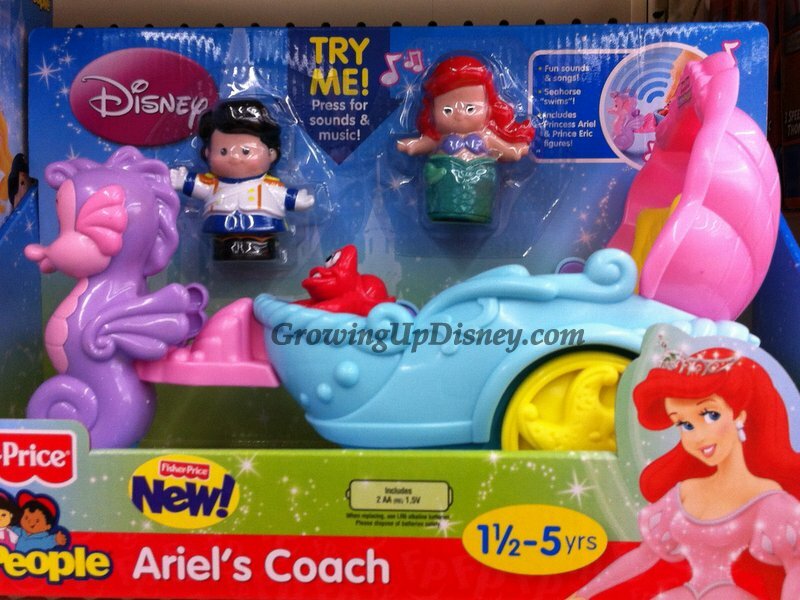 If you'd like Ariel in her mermaid form, then this is the set for you. 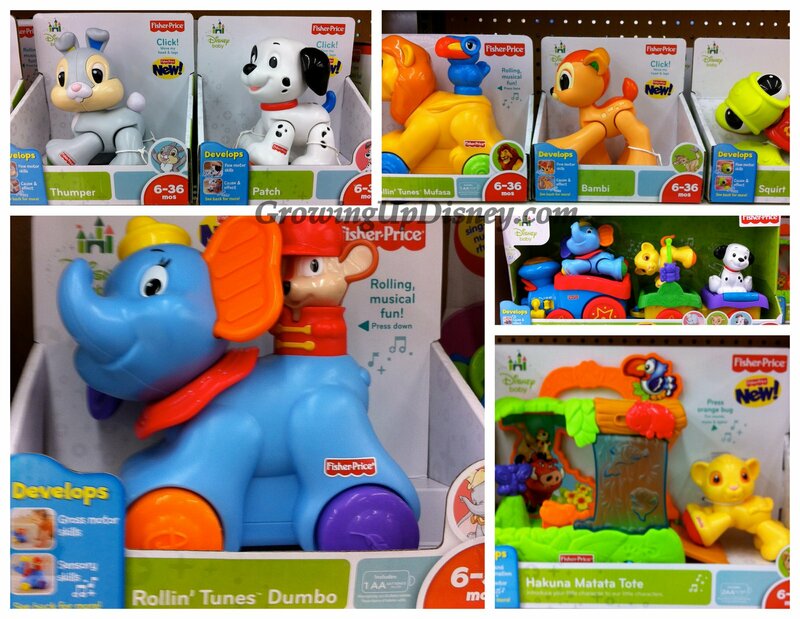 LOVE these for the younger kiddos! Also from Disney Baby, cute bath toys. And no, I didn't get a thing for this. Just wanted to share. Goodnight! 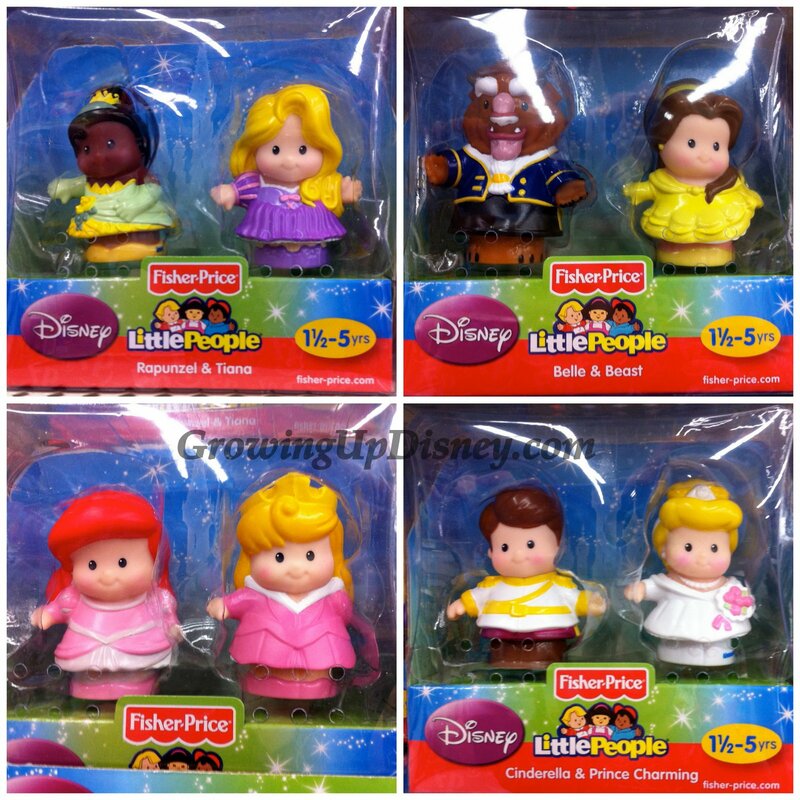 I was just going to put a post up this morning about the Disney princess Little People! 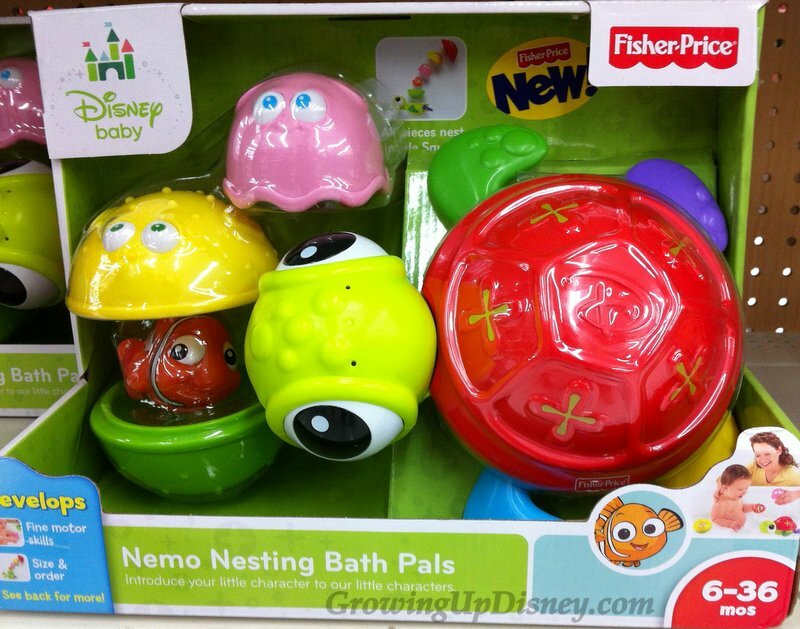 :-) Emily LOVES them! 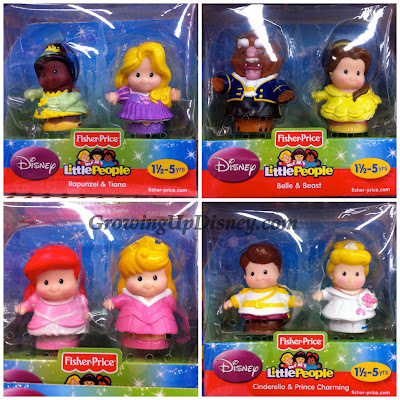 What I particularly like is that Tiana and Rapunzel are available as a two pack. Sometimes it is hard to find these characters when new items come out. 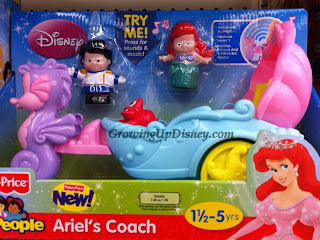 Emily plays with Little People every single day and has already said she'll be asking Santa for these! Very cute!